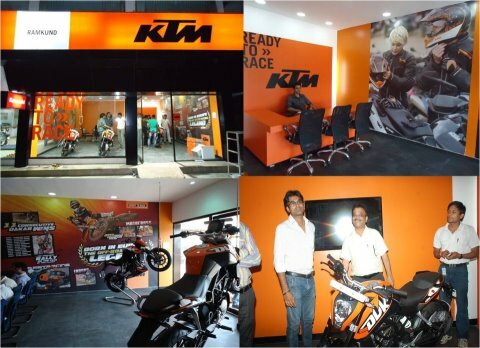 KTM has opened the first dealership in Raipur in Chattisgarh and has started delivering the bikes in the district. The Katoom (as the Austrian bike is fondly called) has been successful in bridging the gap between the 150cc Yamaha R15 and the 250cc Honda CBR250R. KTM Duke was launched in Indian on 24th January 2012. The bikes was also launched recently in Brazil market. Must watch is the Video of the KTM Duke 200 Testing Video, just hear the roaring voice of this bike. Click here for details.